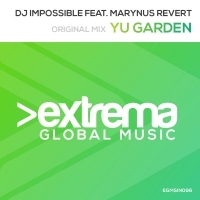 DJ Impossible delivers another Extrema bomb with Yu Garden. Deep and Dirty in all the right places but with a breakdown that ticks all the big room trance boxes, this is a tune with many colours - all of them glorious and lush!! 'Yu Garden' is available now from Beatport and iTunes.